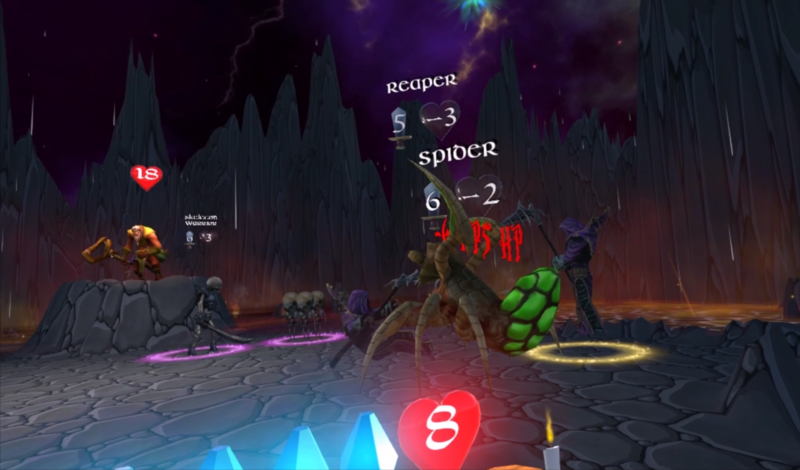 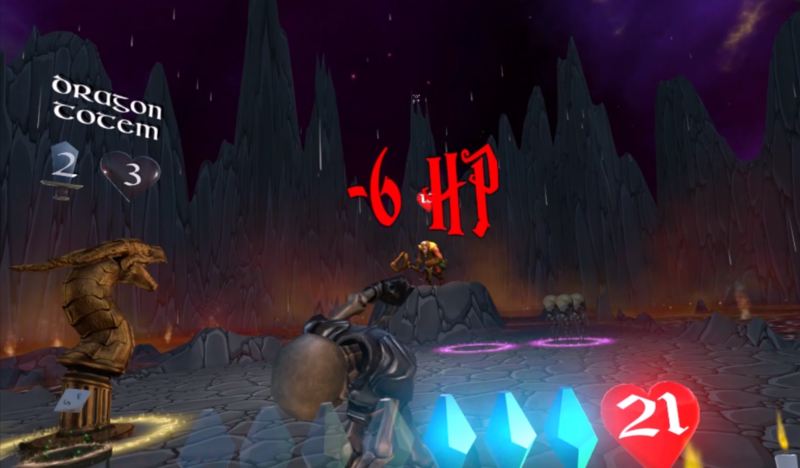 Manastorm amplifies the fun of traditional magic card games through virtual reality. It brings the player into the action with animated cards, world scale minions and magic spells cast from their hand. 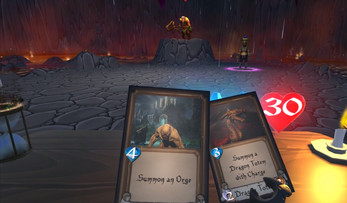 To start the player has a deck of enchanted cards that they draw from each turn, and a stack of mana crystals that increase each turn. 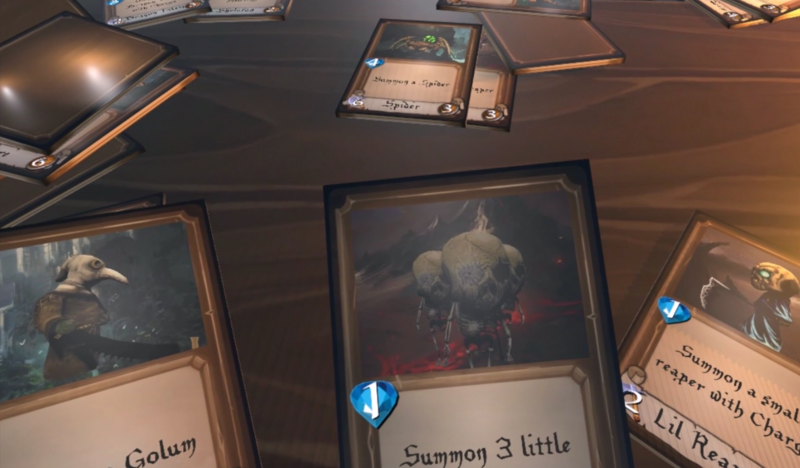 The play will literally throw their card of choice onto the battlefield. 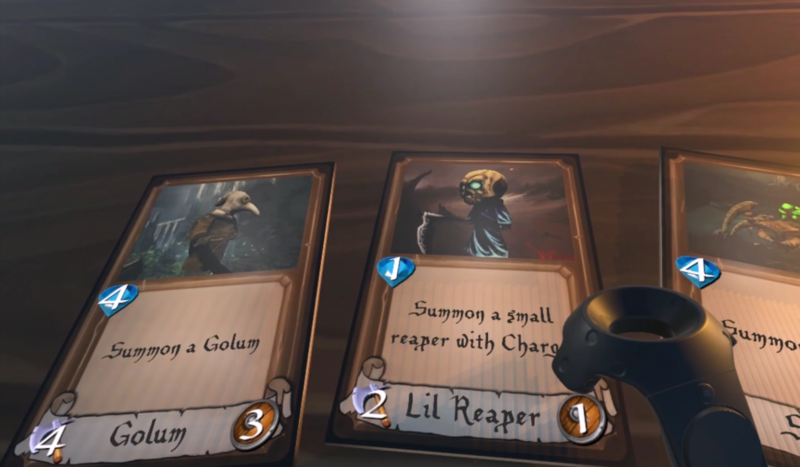 If the player has enough mana to cover the cost of the card, the cards enchantment will be cast. The player can spawn minions, cast spells to add buffs, shields, etc. 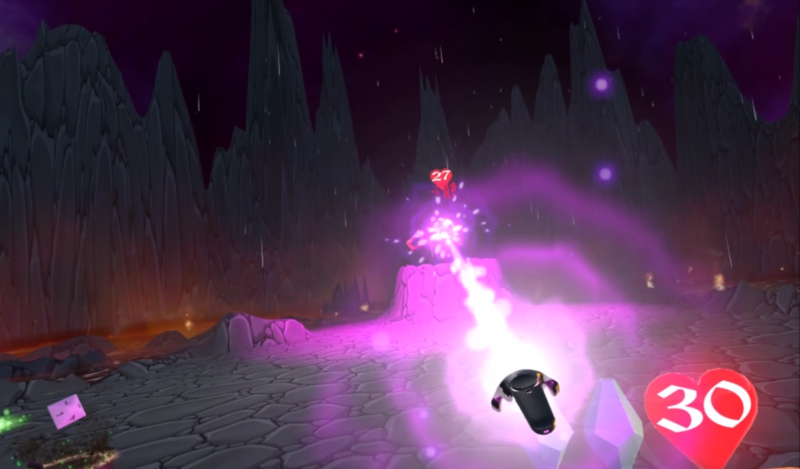 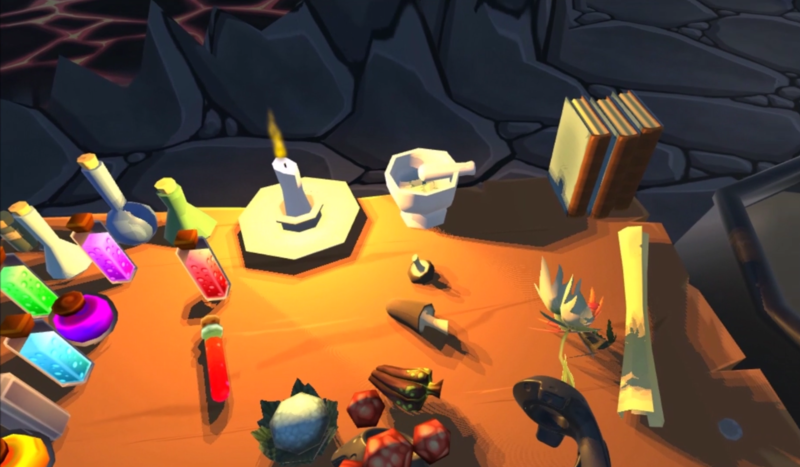 The player can also cast spells to use hero powers such a fire and ice beams. **This is an early access title with frequent update. Early purchases of this game will help fund it, including needed artwork to expand the card library.